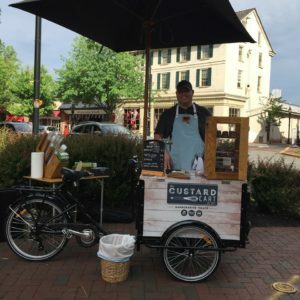 A Day of Firsts | Haddonfield Farmers Market ~ Celebrating our 13th Season in 2019! 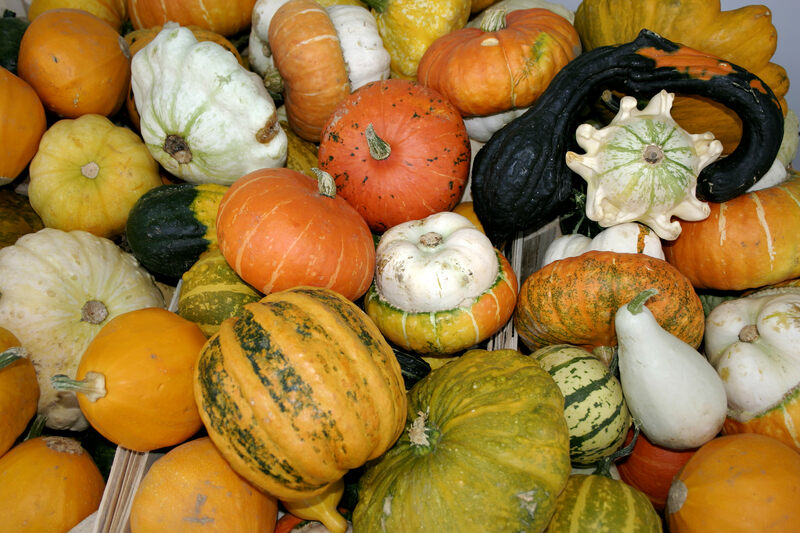 Saturday at the market was a day of firsts…it was the first day of Autumn, the first pumpkins, gourds and winter squashes were on display and available for purchase, as were the first New Jersey Honeycrisp Apples. Brassicas (think kale, collards, broccoli, cauliflower), were in abundance for the first time this season and Wild Violet Natural Specialties was preparing to launch their first ever line of Single Origin Pure Maple Syrup. Lovingly made in Vermont and brought to Haddonfield by a local family. I was particularly excited about a personal first…finally trying one of Pizza Crime’s delectable pies. Created by Vetri trained Pizza Chef Arnab Maitra, each pizza is a delicious work of art. Since it was still early in the day, I opted for the intriguing “Cacio e Pepe” (cheese and pepper), pizza. A tender yet crispy crust topped with a freshly cracked egg, grated pecorino romano cheese and an ample dusting of freshly ground black pepper. Squisito! This may have been my first, but it certainly won’t be my last! With my belly happily full, I ambled over to Just.No.3’s tent to see what was new. I picked up a great, clean smelling room spray and for another first, their Raw Shea Butter Body Butter with CBD oil. Something I have been wanting to try for my occasional aches and pains, especially as the cooler weather settles in. They also offered husbeard oil, aluminum free deodorant, talc free powder and more. All naturally powered by plants with no harmful chemicals. Next, I stopped by Other Avenues for some of their super moisturizing Handmade Sugar Scrub in the lemongrass scent that I like so much, and snagged a bar of their “Dirty Dog” flea and tick soap for my sister. Not actually for my sister, but for her dog. More apple cider made it into my bag, as well as some late season corn and tomatoes for one last summery meal. As I made my way out of the market, I couldn’t resist the wares on display at The Custard Cart…creamy, crackly crème brulee (my favorite! ), and some beautiful tarts that I just had to try. A decadent chocolate ganache with sea salt, a roasted organic pumpkin with freshly grated spices, and an ethereal lemon merengue, all in a not too sweet sugar cookie crust. Chef/Owner Walter certainly knows his desserts and his ingredients are impeccable! Alas, my arms were full and it was time to head home. I’ll see you next week at the market!